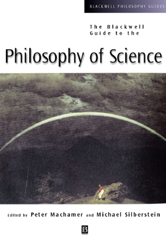 This volume presents a definitive introduction to the core areas of philosophy of science. Contains newly-commissioned articles, all of which are written by internationally distinguished scholars. Each chapter reviews a problem, examines the current state of the discipline with respect to the topic, and discusses possible futures of the field.